This year, pack a healthy approach to lunch with these fun, kid-approved tips. A new school year means one thing when it comes to food: it’s time to toss out last year’s lunch rules and start with a clean slate. Lunchtime can be tough when your kids are gluten-free, so I like to have the kids pick out new lunchboxes and gather around the table to talk about what they liked and didn’t like in their lunch last year. Then, we can brainstorm ideas on how to keep their gluten-free lunches fresh and fun in the year ahead. It all starts with the lunchbox. Let your kids pick out their own so they feel proud carrying it to school every day! If they’re inspired and excited by it, they’ll want to open it up to enjoy all of the goodies inside. Save time with lunchbox ready snack bags. Portion out healthy snacks like sliced cucumbers, grape tomatoes, melon chunks and cheese cubes for the week so you can simply grab them and go. Pack double duty freeze-n-eat foods. Freeze gluten-free muffins or yogurt tubes and pack them in your kid’s lunch to keep everything cool and fresh. By the time they’re ready to eat their lunch, the food will be thawed and ready to eat. Trust in the power of trail mix. Nutrition-packed trail mix with nuts, dried fruit and chocolate chips is a great way for gluten-free kids to get protein that will keep them going all day long. Use citrus to keep browning at bay on fresh fruit. Squeeze fresh lemon juice over kid-friendly fresh-cut fruit like apple slices to maintain its crisp appeal. Switch things up at snack time. Rotate snacks regularly so boredom doesn’t set in with the old standbys. Encourage kids to choose healthy snacks over junk food. Write down a list of ‘okay’ snacks—from salty to sweet—to give your kids an expectation of the types of foods they should be eating at lunchtime to discourage them from trading one of their healthy snacks with a friend. Don’t discount the sandwich. Whether you make your own gluten-free bread or buy a store-bought brand, switch up your kid’s gluten-free lunches with a more traditional sandwich option to keep things interesting. Cut out preservatives by making treats at home. It’s no surprise that homemade treats are a healthier alternative to store-bought sweets. By taking the time to make a weekly batch of homemade granola bars or fruit-packed oatmeal cakes, you can feel less guilty about giving your kids a treat with lunch. Send a message with a little lunchbox love. It may seem simple, but never underestimate the power of a sweet note letting your kid know that you love them. It’s a nice reminder in our hurried, digital age to slow down and savor the moments you have with them while they’re still young. These tips are just some of the ways I instill healthy habits in my kids through their lunchtime routine. What are some of your favorite gluten-free lunchtime tips? Silvana is the owner and editor-in-chief of the digital, gluten-free magazine, Easy Eats and the founder of SilvanasKitchen.com, a gluten-free cooking and baking blog. 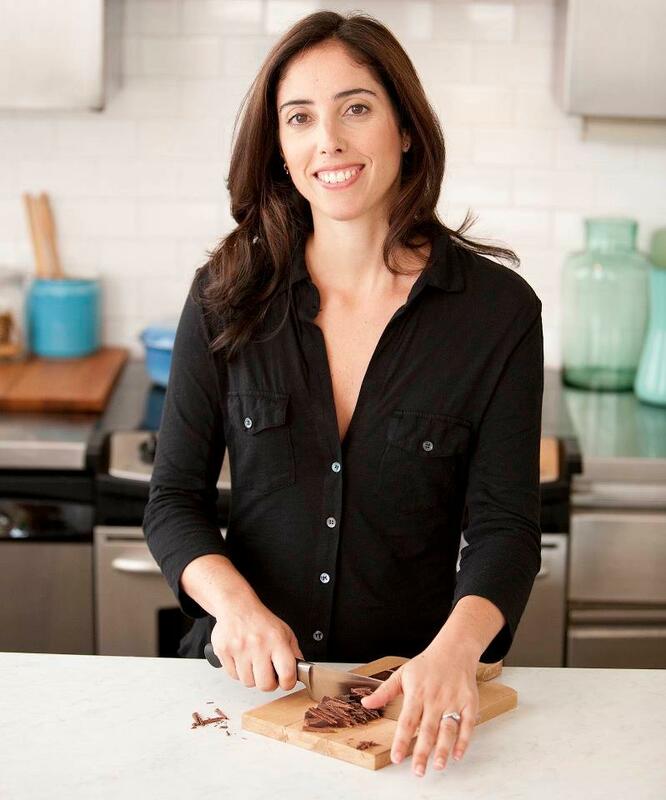 She is the author of Cooking for Isaiah: Gluten-Free & Dairy-Free Recipes for Easy, Delicious Meals and is the founding editor of Every Day with Rachael Ray magazine! Awesome tips! Though we have no gluten allergies here, I am aware of gluten and wheat and their downfalls. Always looking for healthy suggestions:) Thanks!